Today is my 39th Birthday. 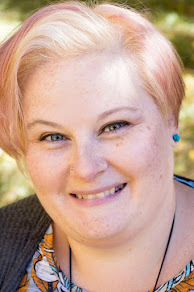 I would love to tell you all sorts of tricks on how to look younger, how to raise obedient children, how to keep your house clean in only 20 minutes a day - however, I don't know how to do any of those things! One thing I do know about is bills and stretching a dollar. Having one income in a family is tough. There always seems to be more month than money. I am lucky that blogging has helped me bring in some extra income each month, it helps a lot. (Make sure to look for my upcoming series on building my blog.) Over the years as a single parent I have learned how to finds deals and discounts to keep expenses under control. One thing that never seems manageable is the bill for my mobile phone. We all have smartphones! We all have our favorite apps: facebook, twitter, snapchat, pinterest, instagram. We all have a need to stay connected. Pictures, videos, messages, texts, phone calls. There are a lot of plans that offer unlimited talk and text but, what if you need more? We go through so much data in my family. Once again I found a great deal at my local Walmart store. I saw a promo display for the newest Walmart Family Mobile Plus plan. For less than fifty bucks of month I will have enough data to get work done, play games and keep up to date on all my social media. The PLUS part is a free movie every month from their VUDU service. We can watch that movie on our smart TV and make it a Family Night with some pizza and popcorn. 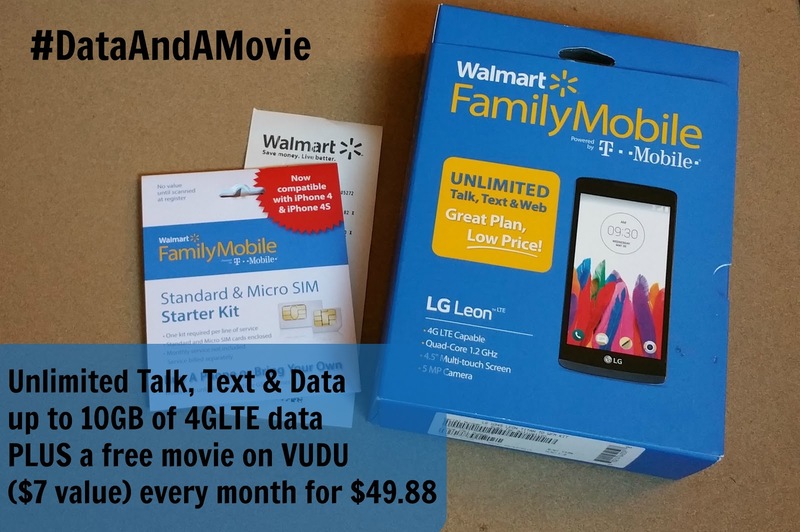 Have you tried VUDU yet? I can't wait to get our first code. 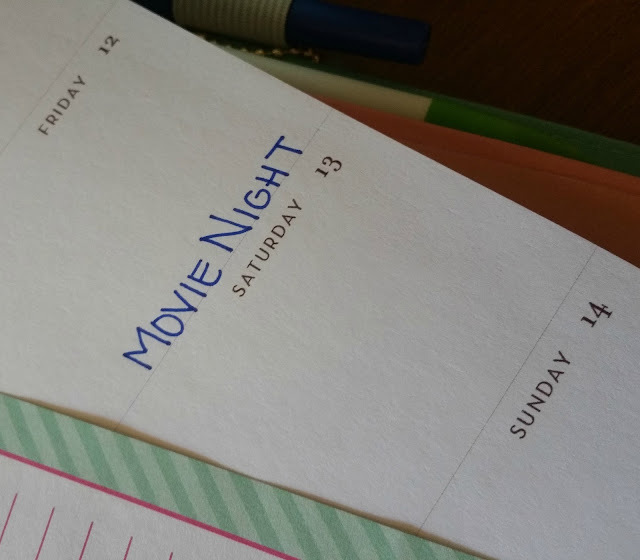 We have our movie night scheduled for Valentine's Day weekend. We have 2 extra days off school so we can use the extra time, extra data and our Plus plan to have a fun Mommy and Son date. Do you have a planner? I am so glad they are "cool" again! This is the phone I purchased. It is my first LG. I like the size and some of the features. The price was good too. I paid $69.82 for the phone and the SIM card starter kit was $25. The plan is postpaid so you will receive a bill after the first 30 days of service. 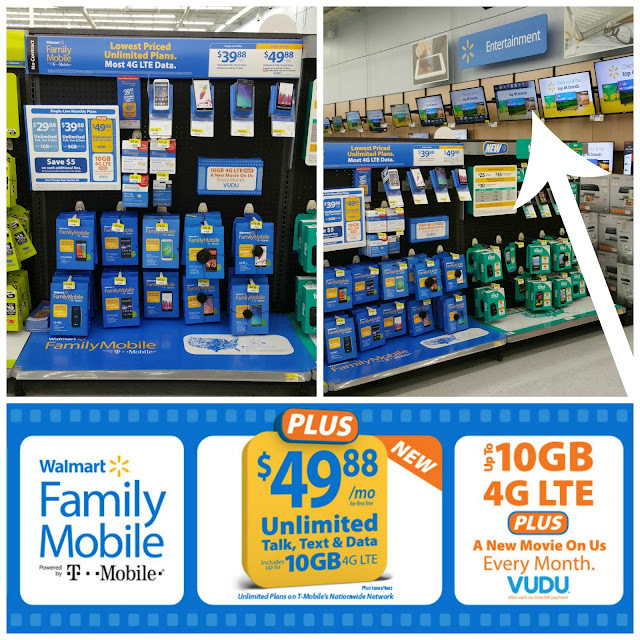 The phone activation center is located in the back of my store near the wall of TVs. There was plenty of phones to choose from. 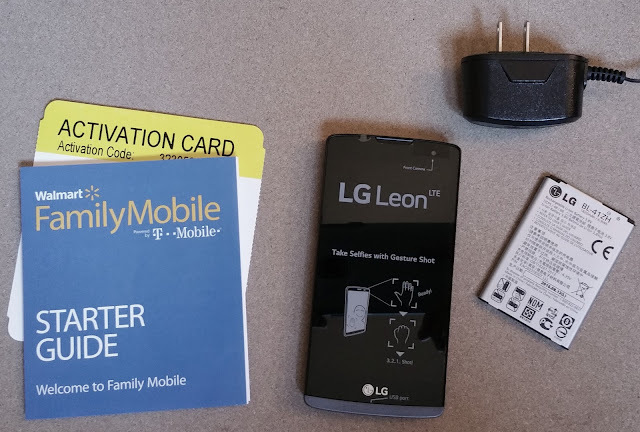 My top choices were the Samsung Galaxy Core Prime, Samsung Galaxy Prime, HTC Desire 626s, LG Stylo or the LG Leon LTE. I went with the LG Leon LTE because of it's lower price. It is on RollBack this week. Check your store to see what low prices you can find. Please refer to http://cbi.as/28aqc or your local Walmart for current pricing. 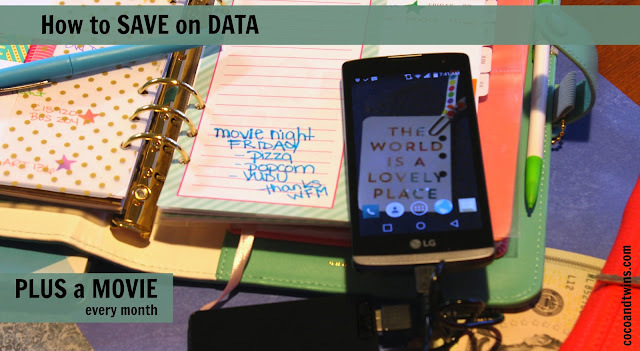 What will you do with the extra data? How much will this help you save each month? How will this PLUS up your month? Date night movie, more time for games, work emails? What phone would you buy? Let me know!